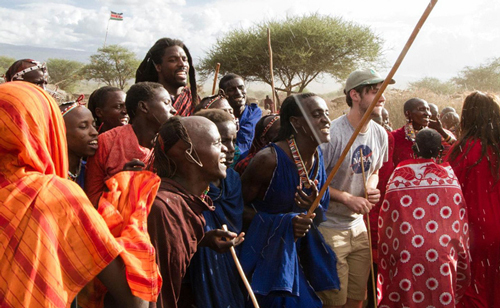 Tap into the life of the Maasai on a service learning adventure to Kenya, Africa. During your trip, you will reside in Amboseli at the foothills of Mount Kilimanjaro to discover the Maasai way of life and learn about cultural conservation from Maasai leaders. 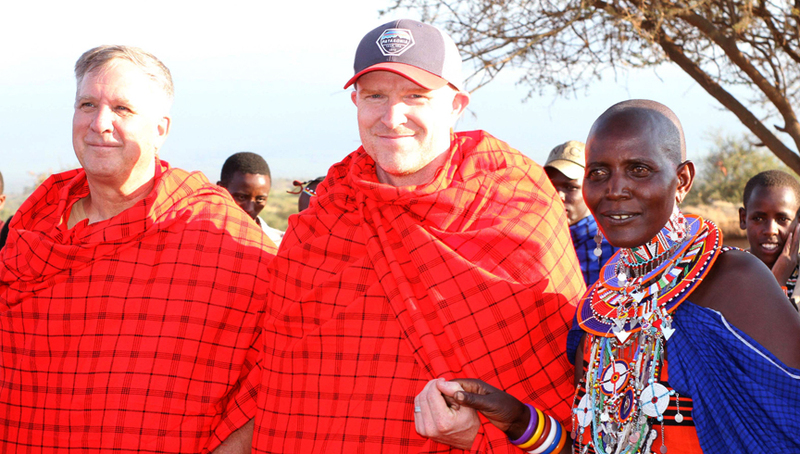 This unique experience in Maasailand is the only opportunity to work with and provide service to the Maasai communities. During our next trip on March 17-23, 2019 you will be able to participate in our upcoming humanitarian programs to improve the lives of Maasai families through various activities. You will also be able to participate in Maasai cultural educational workshops, each day we will have various topics presented by Maasai cultural leaders. You will have the opportunity to work hand in hand with the Maasai. Program details regarding the humanitarian activities will be provided for soon, please note all ages can participate, check back for more details. 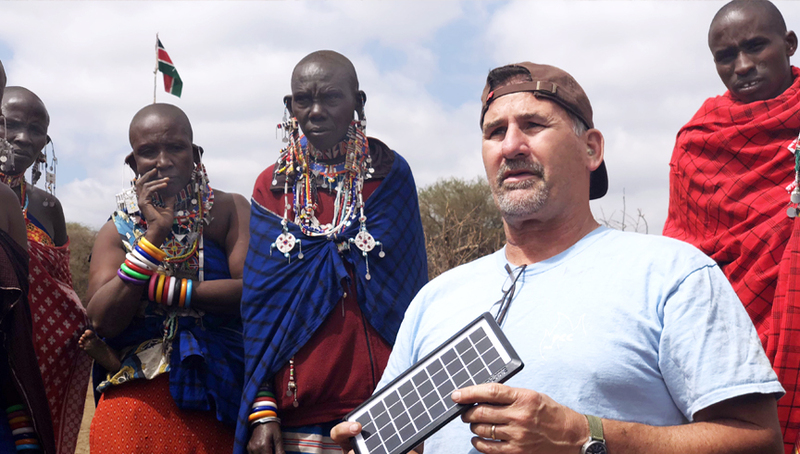 You won’t want to miss this rare opportunity to learn from the Maasai leaders and empower their communities. *If you have a group of 5 or more people, call us and we can arrange a custom trip for your group on the dates best for you! Arrive at Jomo Kenyatta Airport in Nairobi, Kenya. MCV will provide airport transfers to the Eka hotel in Nairobi. Meals will be provided. All guests will attend a welcome reception in the evening to discuss program activities and meet the team members. MCV will provide an introduction on the social and cultural customs of the Maasai to prepare for the journey. After breakfast, we will depart Nairobi to Amboseli at the foothills of Mount Kilimanjaro to visit the warrior’s manyatta (homestead) and home of the Maasai chief. Experience a traditional Maasai greeting. Participate or observe authentic Maasai tribal dancers to learn traditional songs and dances passed down through many generations. In this ceremony, everyone can join in the celebration. Enjoy establishing friendships with the community members where we will be working throughout the week. In the evening we will check into Kilima Safari Camp, a 5-star lodge situated in Amboseli National Park where we will be staying for 5 nights. 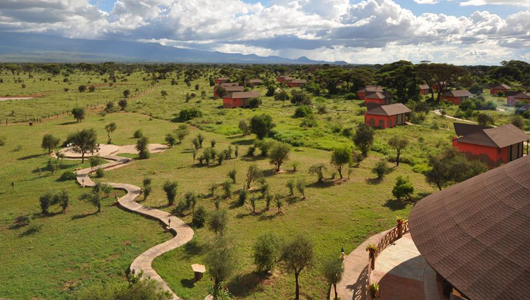 Kilima offers spacious accommodations with views of the animal water pools and Mount Kilimanjaro. Guests can unwind with a selection of massage treatments available upon request or enjoy a refreshing swim and relax on the poolside lounger. Buffet and à la carte dishes are served at the camp’s restaurant. Mada’s restaurant offers various cuisines to suit every guest’s taste (including vegetarian options). Enjoy breakfast and dinner buffets during designated hours. 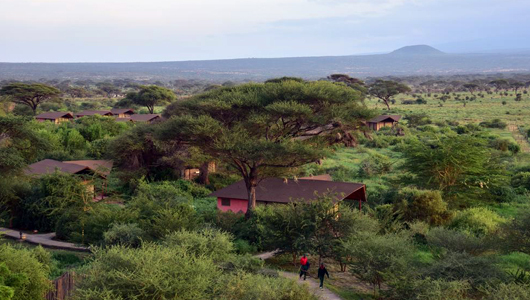 We will have packed lunches in the field and optional traditional Maasai barbecues. 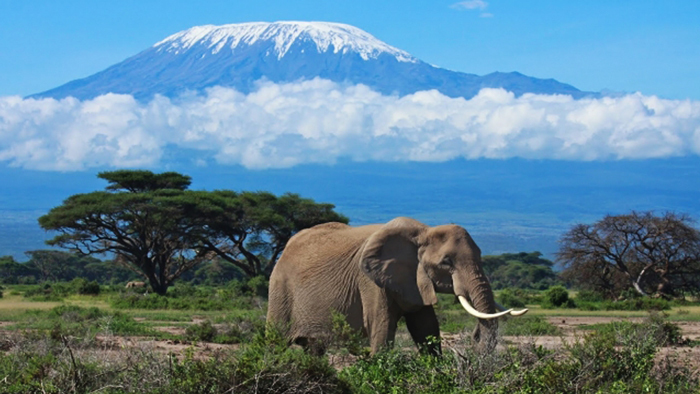 Enjoy 4 days of service-learning at an important cultural and historic site for the Maasai people in the elephant migration corridor of Amboseli. We will participate in hands-on activities to improve the lives of the Maasai community, especially mothers and children. All ages can participate to work side-by-side with the Maasai community members. Specific project details and activities will be provided for soon. The Maasai leaders will provide cultural talks and workshops to teach about the life of the Maasai with the aim of developing an awareness and appreciation for the Maasai cultural heritage. 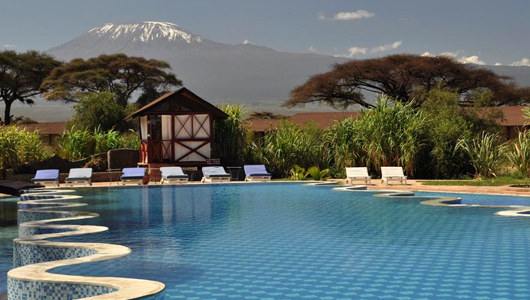 Enjoy the breathtaking landscape of Mount Kilimanjaro. Maasai Yoga instructors will also provide optional classes for our guests. This will be a life-changing week for you and the Maasai people. Participants will gain a sense of fulfillment in their service and a deeper understanding of our global community. Enjoy a safari in Amboseli National Park with a game drive where you will see the breathtaking wildlife of the park. The name “Amboseli” comes from a Maasai word meaning “salty dust”, and it is one of the best places in Africa to view large herds of elephants up close. 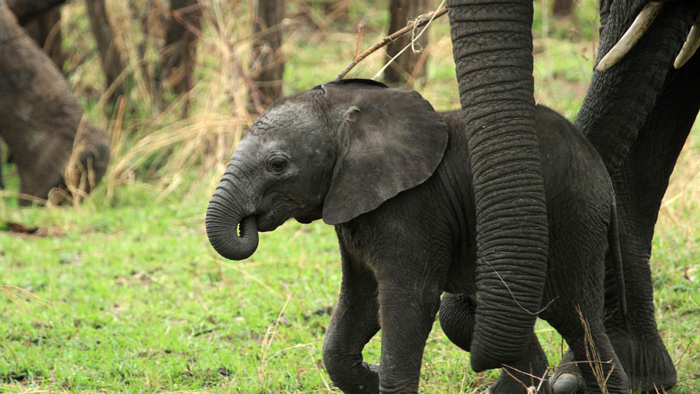 The park is crowned by Mount Kilimanjaro, Africa’s highest peak, and is one of Kenya’s most popular parks. Nature lovers can explore five different habitats here ranging from the dried-up bed of Lake Amboseli, wetlands with sulfur springs, the savannah, and woodlands. Amboseli is known for the following wildlife: leopard, cheetah, wild dogs, buffalo, elephant, giraffe, zebra, lion, crocodile, mongoose, hyrax, dik-dik, lesser kudu, and nocturnal porcupine and over 600 species of birdlife. In the evening we will enjoy a cultural lecture from Daniel Leturesh, the Chairman of the Olgulului Ololarashi Group Ranch (OOGR), one of the last remaining lands for the Maasai that has not been subdivided and the home base for MCV programs. Leturesh oversees the development of the community to ensure good practices are in place to promote wildlife, environmental and cultural conservation. He successfully spearheaded a plan to protect four conservation corridors, including the area where we are renovating homes, which offers the only path for elephants and antelope to migrate between Kenya and Tanzania. He has led efforts to reform tourism in Maasailand for over three decades. He will share how the Maasai and wildlife co-exist and depend on one another for survival. After breakfast depart Amboseli to Nairobi for departure. All flights should be scheduled in the evening at Jomo Kenyatta Airport. On the way to Nairobi we will visit the site where MCV will establish a Maasai Cultural Heritage Center to learn about our upcoming legacy project. We will also visit Maasai artists for optional purchases of local handicrafts before departure. 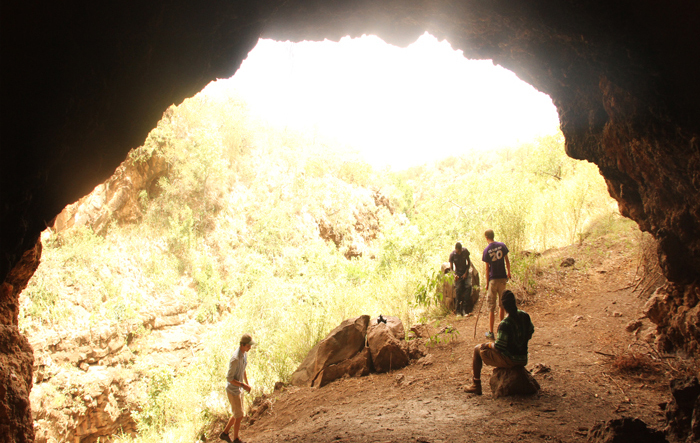 Visit a Maasai cave and learn the history of various caves for the Maasai communities. The warriors faced numerous challenges and when they felt discouraged, they conducted rituals to re-energize themselves. The caves are covered with natural herbs that are used in treating various diseases and wounds. Caves were also used as treatment areas for injured warriors as they undergo treatment. The Maasai have used caves as homes, churches, holy shrines for prayers and to hide their families and cattle during colonial rule and tribal wars. All breakfasts, lunches, dinners are included. *Optional to bring an additional $100-150 for additional snacks or beverages (Alcoholic beverages not included in MCV meal package). All Transportation including arrival transfer, transportation between all destinations and to/from all activities and workshops as listed in the itinerary. 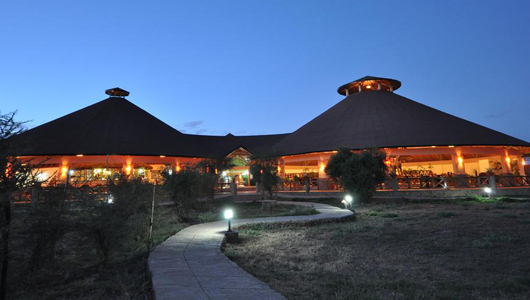 MCV guests will enjoy a comfortable luxury tented camp located at the border of Amboseli National Park. Guests will have excellent accommodation and services where you can watch elephants with the snow-capped Kilimanjaro as the background. If traveling as a family, accommodations will be made to ensure family members are together in the lodge. If coming as an individual or in a group, we will make every attempt to organize participants as desired. Please make your requests in your application. If no requested are made, participants are placed according to gender. If you have a group of 5 or more people, call us and we can arrange a custom trip for your group on the dates best for you! If you have any questions or need assistance registering, please call#844-628-1414 or email: hq@mychosenvessels.com.